Lesli is a Salem-News.com writer, one of our best and brightest. We said goodbye recently to David Bedworth, a Vietnam Vet Marine officer who died from complications connected to his military service, I'm done with this, I don't want to add another candle to our writer bios for a long time, so please help Lesli because she doesn't ask for much, she mainly only gives, but now she needs our collective help. I have had a turn for the worse, health wise, these past many months. I am struggling to survive - from the carcinogenic caused very rare paired blood cancers I now fight and giving every ounce of my strength to. But, the financial burdens that came along with NO government help, Denials of claims as a Federal Employee (the burden of proof was on me! ), as well, I now have been denied qualifying for Social Security Disability. I served in Vietnam, standing side by side with the soldiers and all others there. I took the same danger, stood my ground for the morale of our soldiers, visited dangerous places far and wide, in a war-torn country, while bringing to the soldiers "a welcomed visit from home." This past month, I found myself at The City Of Hope ---- one of the finest Cancer Hospitals and Cancer Research Centers in the world. They are the ONLY place who understands T-cell blood diseases. I began care and treatment in January. I have started on a year's journey of daily chemotherapy, my rise back to health, and hopefully a full remission in the future. The City Of Hope has a $15.1 budget specifically for T-Cell Lymphoma and T-Cell Leukemia Research. So "The Hope" is where I need to be! I have written a new Blog on my site and sent it to many social media pages, Every Day Is A Gift, along with a "call to action" for those who would and could help me. As you know, I was an innocent 18 year old girl traveling through war-torn jungles, just trying to lend support to our country and its men, during an unfriendly time in our country. I was there. I was collateral damage. I am now just trying to hang on, and survive, allowing me to continue my strong voice for Veterans (and civilians who suffered). It goes against my grain to ask for help -- but, now is the time. 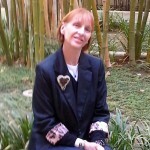 I would appreciate it if you would send my Website Link; Leslisstory.com to those among your networks. Please pass this on to "all of our friends," who would understand my need for help at this difficult time of survival. If you are comfortable in asking your connections, and colleagues, please have them send to their networks. Fighting Cancers are easy; asking for help, financial assistance is a most humbling experience, and this is the single soul-wrenching difficult task of my life. This is my most desperate moment. I want to Survive. I want to Thrive. Thank you so much. I am grateful. I am blessed. Please Help, Lesli, BEAT these two Life-Threnthening Rare Blood Cancers. Lesli began a ONE year daily course of chemotherapy and treatment at the renowned Cancer Research Foundation and Hospital…The City Of Hope. A Fund has been established to FINANCIALLY HELP, LESLI. Keeping up with the raising cost of insurance, out of pocket costs, and general over all medical expenses, she can’t do it alone. Thank you, for your help. Lesli is always there for everyone else….Now it is her time for us to give to this wonderful giving woman, filled with her joyous life spirit she so willingly shares. She needs our help in this her time of great devastating need. With deep heartfelt appreciation and gratitude, we thank you. Please Share With All Your networks, and Help Lesli! Every Day Is A Gift. Live it! Lesli, you are in my prayers. Calling her a Vietnam veteran is a fair point, anyone who went there that did it voluntarily deserves our respect and support.